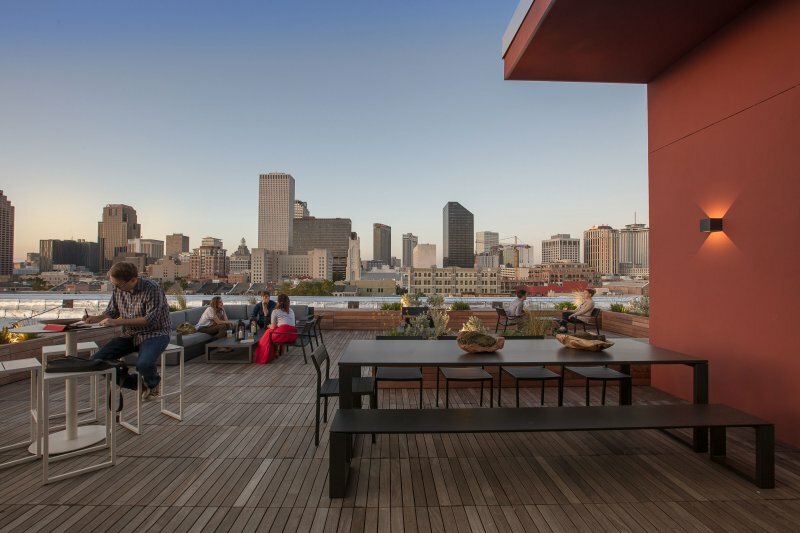 New Orleans is a city beholden to the arts, its business and entrepreneurial community in support of its presence. 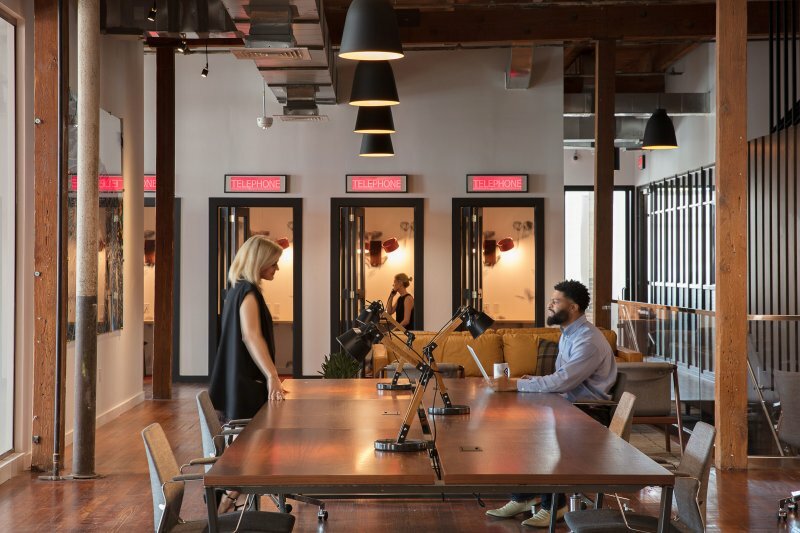 Nowhere is this more evident than in the recently developed co-working space, The Shop, located in the historic Contemporary Arts Center. Envisioned as the cornerstone of what is quickly becoming the region’s “innovation corridor,” The Shop sits at the nexus of many of the city’s most important cultural institutions. 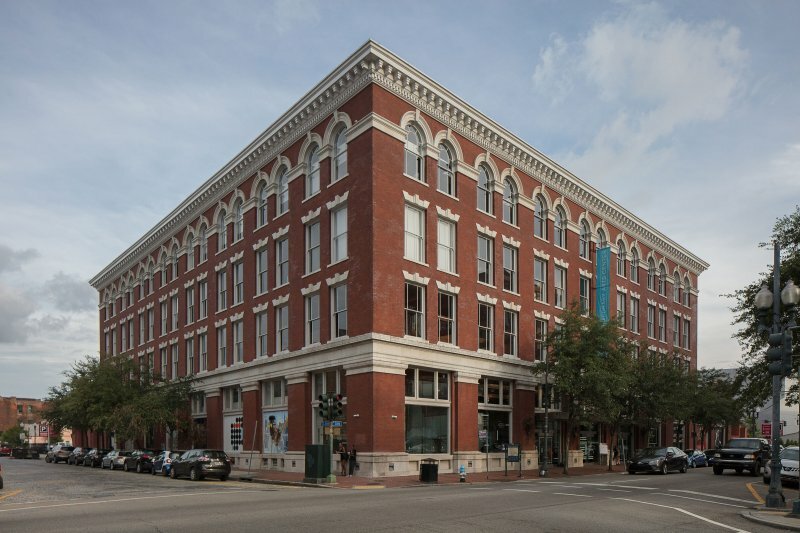 The project occupies the third and fourth floors of the New Orleans Contemporary Arts Center. 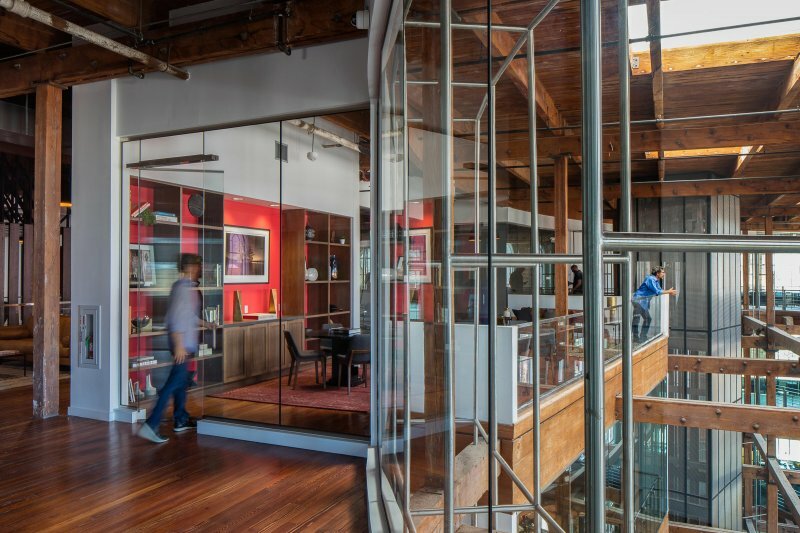 Working within the context of the historic building, the design team slowly peeled away layers of interior floors and walls to make a lively two-story atrium that exudes warmth and texture. Exposing and enhancing the existing conditions was a unifying element throughout design. 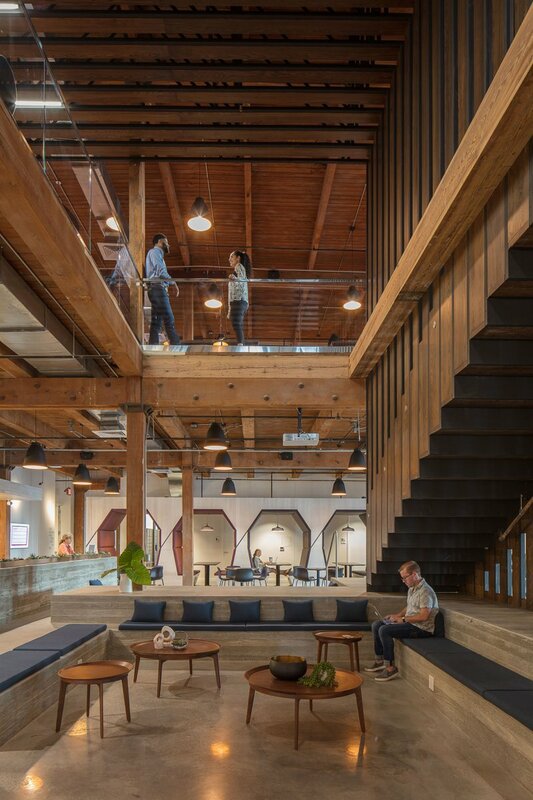 Special care was made in opening the interior to the structural foundation, creating a tectonic contrast of modern interior design and rustic, heavy timber framing. The heart of The Shop is the commons area, designed to facilitate conversation and connection. It boasts a full kitchen, seating options, coffee station, and communal and recreational space. The two floors are connected by an open architectural staircase. The concept emerged from the idea of art and handmade elements intertwined. 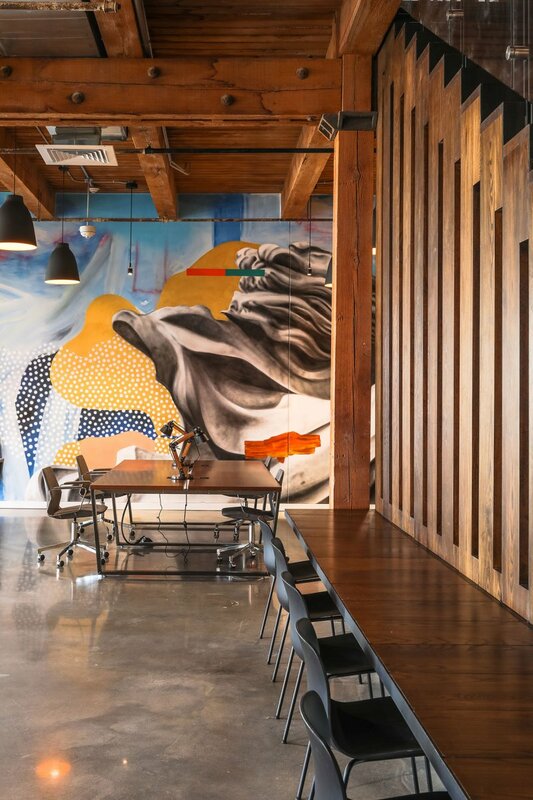 A variety of work areas are scattered throughout. The concrete base provides informal seating. 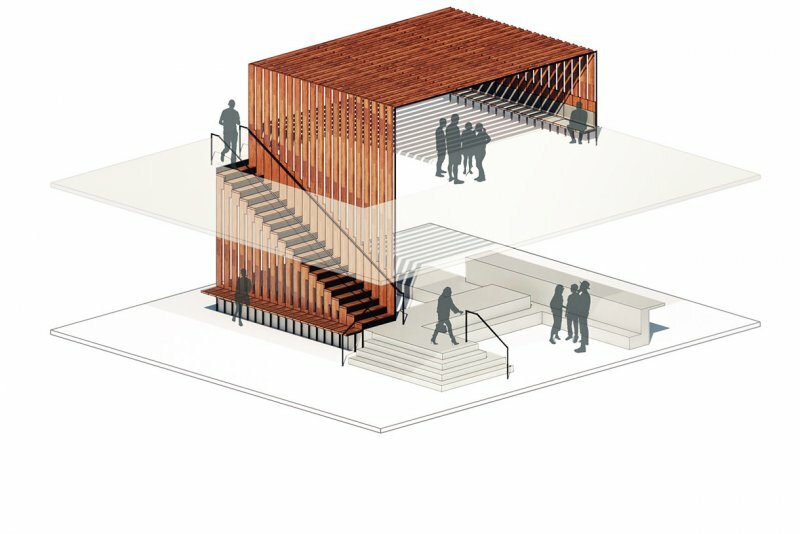 The stairs weave upwards to form a trellis on the 4th floor, creating a visual link between the two levels. 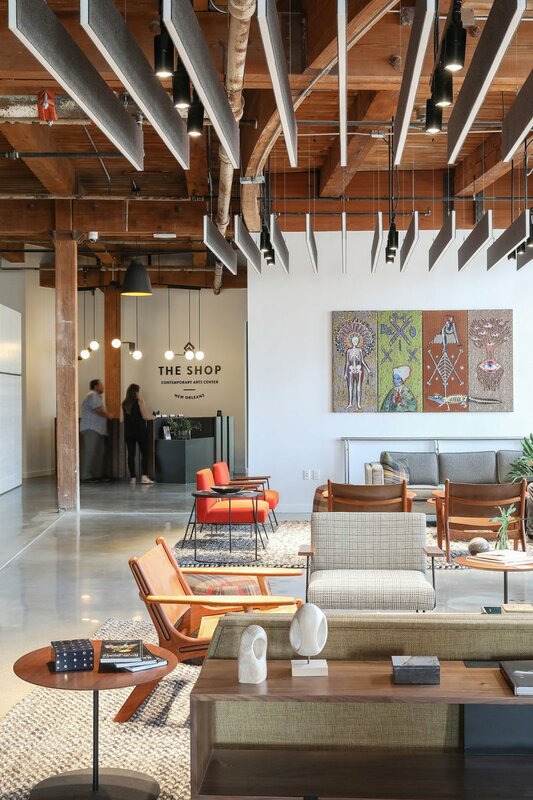 All of The Shop’s amenities have been designed to offer small businesses, entrepreneurs, and arts-based professionals the resources they need to grow. 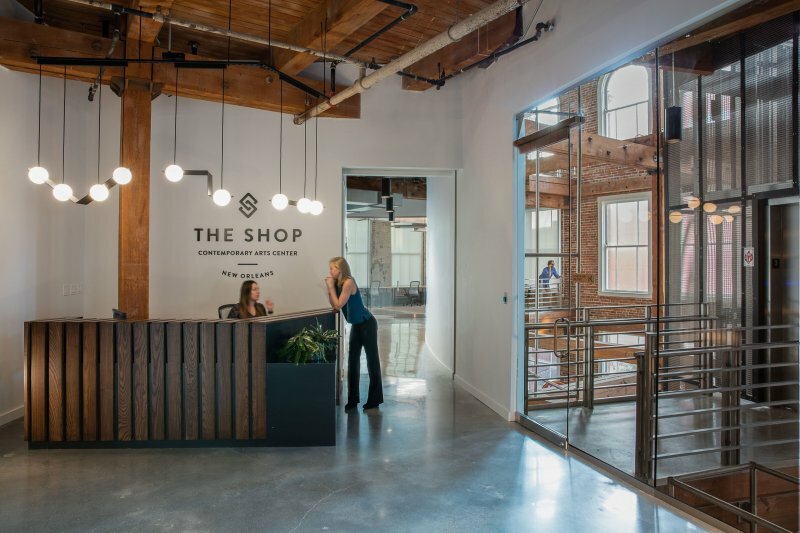 With its proximity to acclaimed museums and galleries, new developments like the nearby South Market District and Ace Hotel, and some of the best restaurants, shops, entertainment venues and residences in New Orleans, The Shop is primed to become a catalyst that will continue to transform Downtown into a thriving urban center.